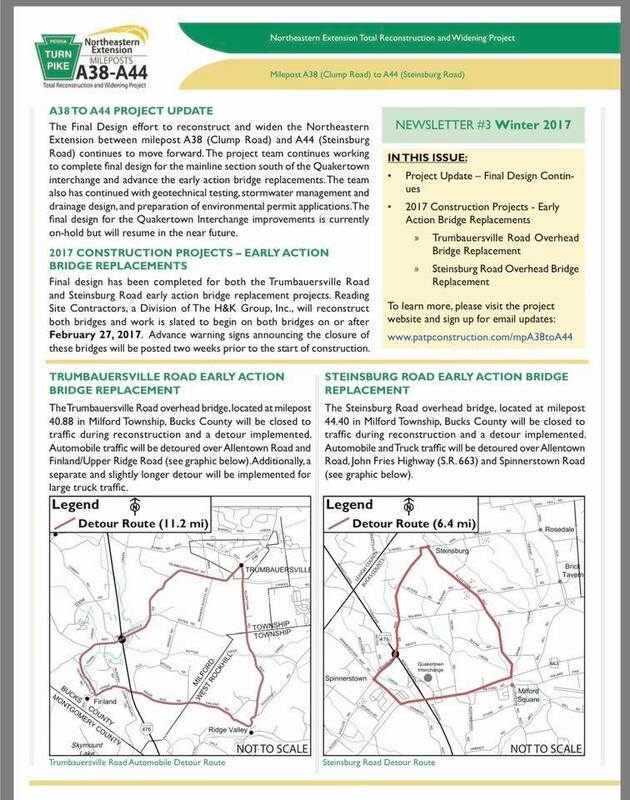 Please be advised the following roads will be CLOSED effective 2/27/17 for approximately 9 months in order to replace bridge structures over the PA Turnpike. -Trumbauersville Rd between Canary Rd and Esten Rd. Detour routes will be posted to direct motorists around the closures.